Combine watercolor monotype printmaking and the chine collé method of collage to create vibrant one-of-a-kind prints. Saturated watercolors are layered and manipulated on prepared plexiglass plates and allowed to dry. Inspired by patterns in the natural environment, your line drawings on fine Asian paper are adhered to the print during transfer with a press. This combination of shape, line, color and texture provides intriguing results. 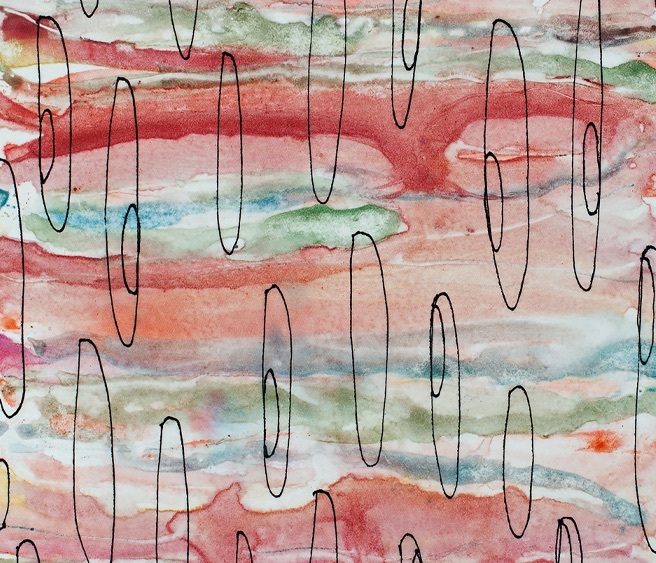 No experience in watercolor or printmaking is necessary to enjoy this three-day workshop. Marcy Baker was introduced to monotype printmaking 25 years ago in Santa Fe, New Mexico, and she was hooked. Baker earned her BFA from Syracuse University in New York state. Her monotypes, paintings and collages have been featured in numerous solo, invitational and juried exhibitions nationally. Baker's work resides in private and public collections throughout the U.S. She has taught printmaking and mixed media classes at Multnomah Arts Center in southwest Portland and in her private studio for twelve years. Her Sitka workshop offers a supportive, creative environment for students of all skill levels. also work well and are more affordable than tubes. Gouache can be used in combination with watercolor. This is optional and must be M. Graham brand. • Sketch pad at least 11\" X 14\"